“Dates are cheap to produce and preserve, and are also very rich in nutrition. Dates contain a high percentage of carbohydrate, fat comprising 14 types of fatty acids, 15 salts and minerals, protein with 23 different amino acids, six vitamins and a high percentage of dietary fibre. However, there are a number of inconsistencies in published data. For example, fibre content has been measured by a variety of methods including ‘crude fibre’, which does not give results that represent dietary fibre values. In other instances, the range or standard deviation of data has not been specified. The normal food we eat every day may not give us the required quantity of minerals and amino acids, for example, in comparison with what we might obtain from eating few dates. Increasing the production of dates has the potential to improve the nutrition of many people in areas where dates are eaten as a food rather than as a delicacy, as tends to be the case in the UK. 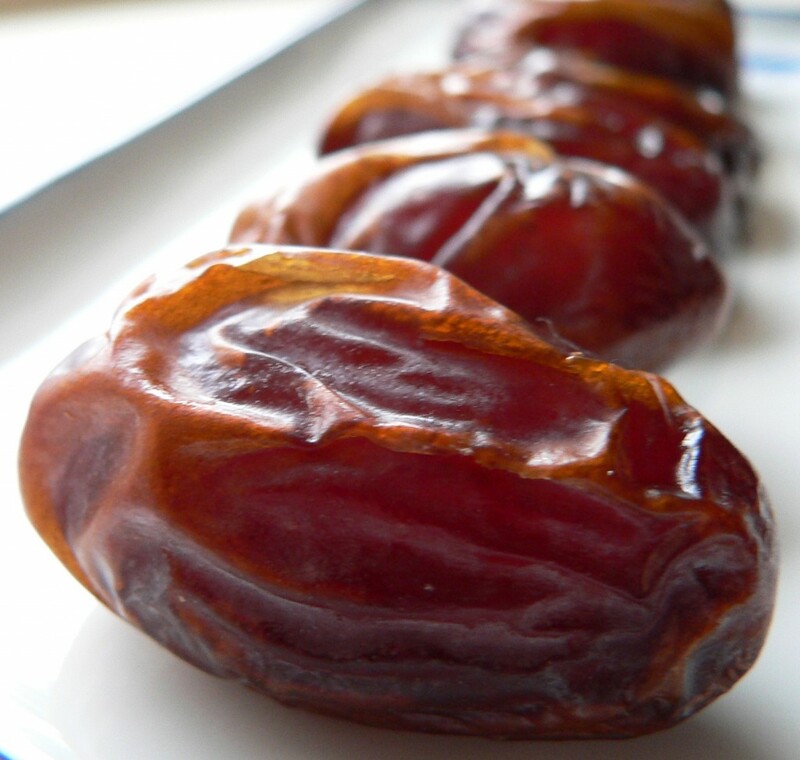 In the Middle East, it is common to consume about 10-30 dates daily as part of the normal diet. In other countries where dates are grown, it is expected that similar amounts are eaten though there are no data that we are aware of. The consumption of 100 g dates daily (about six to seven dates) can provide between 50 and 100% of the recommended daily amount of fibre as well as other essential nutrients. Present production amounts to no more than 1 kg/person per year. The world production of dates has increased 1.5 times the increase in the world population in the past 40 years, showing that there is potential for more use of dates as food. Demand for dates could be increased significantly if nutrition education was improved and availability was increased. This could help these countries to avoid some of the health problems seen in developed countries. Promotions of the health-giving benefits of dates in the developed countries also aid governments in meeting nutrition targets. Education about the importance of dates could bring significant health benefits. Improvements in the packaging and labelling of dates in addition to the presentation of delicious dates in the market are also important. The chronic diseases appearing in humans may be due to excessive consumption of high fat, low fibre and refined foods typical of the diet in Europe and the USA. These diseases are beginning to appear in developing countries as they tend to adopt similar lifestyles and eating habits. We can also speculate that dates may have other, as yet unknown, health and medical benefits. Dates could have an important all-round role to play in dietary health. There is every possibility that they contain other components that may have useful functional properties”.